Bhagath Reddy, CEO And Founder Of Comte De Grasse. Let’s face it, gin is one of the world’s fastest growing spirit. The flexibility of the recipes and relative simple production is allowing gin lovers all over the world to create their own brand. Craft gin distillers are cropping up everywhere. But wanting to stand out from the crowd, the innovative French distiller, Comme de Grasse, has launched the spectacularly elegant 44°N gin in pursuit of sustainable luxury spirits. The drink has been created using age-old perfume extraction techniques melded with cutting-edge distillery technology. Luxurious Magazine caught up with CEO and Founder, Bhagath Reddy, to tell us about his journey into this increasingly much-loved spirit. LM: We guess cheers are appropriate to mark the launch of 44°N Gin! Tell us how did you set about embarking on this journey? BR: I was born in Bangalore in India, and the passion for fine spirits runs deep in my family. After much research, I decided to pursue my dream of building a distillery. 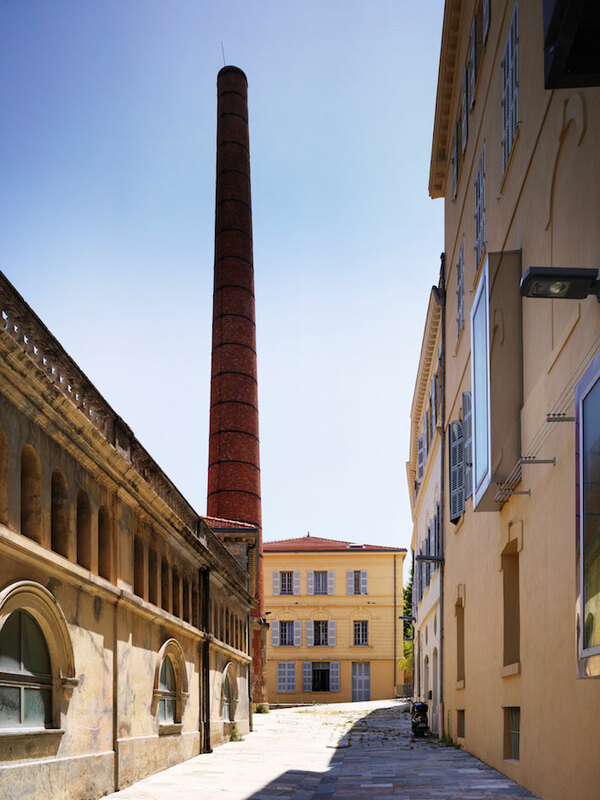 I chose the ancient town of Grasse for a number of reasons: it has exceptional technical know-how for aroma and flavour extraction; a magnificent array of raw materials; and a community eager to explore a new chapter in their local culture and economy. 44°N is our first product from Comte de Grasse – The Lab Distillery, and we are incredibly pleased with how it has turned out. The Comte de Grasse project all began with my curiosity on whether luxury spirits could be made in a completely new way, a way that was more in tune with its environment. Now, we have created a pioneering method for producing luxury spirits in a more sustainable manner than ever before. LM: Gin has recently seen a revival, and it seems to be the tipple everyone wants to have. Please tell us why do you think that is? BR: Over recent years, gin has seen a colossal increase in the popularity of classic drinks, G&T and the Negroni especially. This has awakened people’s interest, making them want to delve further into the world of gin. Now more than ever, drinkers are fascinated with what’s in gin and the process in which it is made. 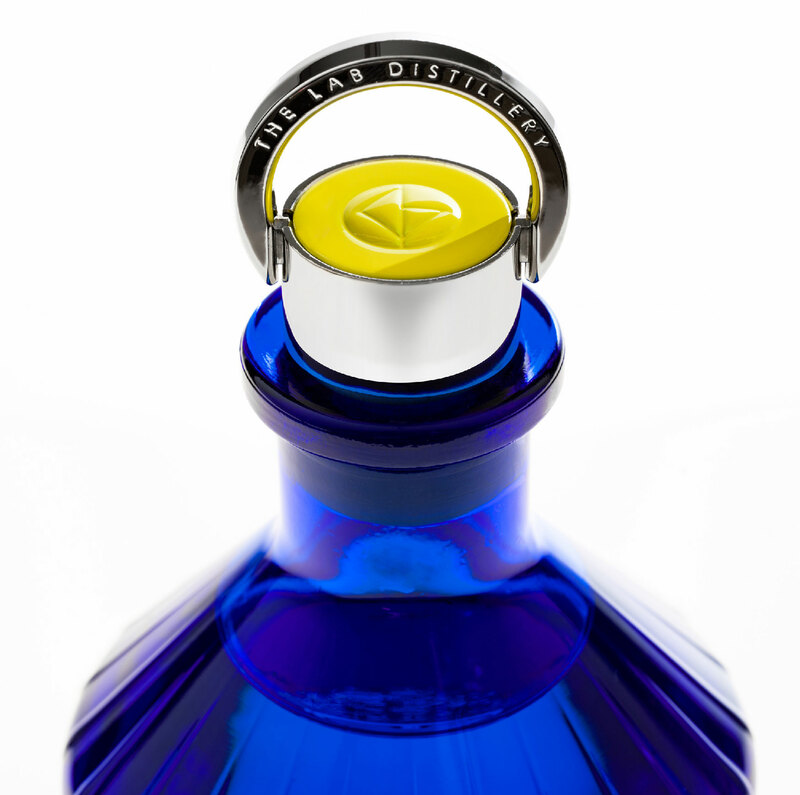 44°N is distilled in such an innovative way that has never been seen before in the gin world. Our product will challenge thinking on flavour creation and sustainability in gin distillation, as well as the world of luxury drinks. LM: With so many gins coming onto the market, how much competition is there? BR: Competition in the gin world is higher than ever. But 44°N is not just another gin. The focus on sustainability is a key aspect to help us stand out from the competition. Our team is constantly seeking ways to create a more sustainable luxury spirit. On an aesthetic level, as you can see, the stunning Bleu Klein glass bottle and presentation box is spectacular. 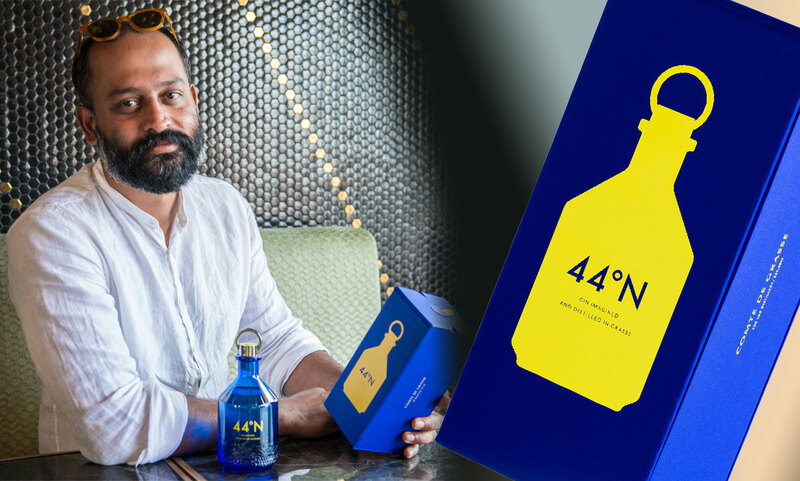 LM: What sets 44°N Gin apart from the rest? Does it have special ingredients not found in any other gin? BR: The main factor that sets 44°N apart from the crowd is the way that it’s made. The gin has been created using age-old perfume extraction techniques melded with cutting-edge distilling technology. This is the first time gin has been made like this. Regarding the botanicals, our home in Grasse has its own microclimate, a place where botanicals grow freely, and we’re blessed with constant sunshine and warmth. Cade, rose centifolia petals, jasmine, lavender and local honey are just some of the 20 ingredients that we use in 44°N, most of which are sourced from local the community. This is definitely a gin with juniper to the fore: on the nose, bright, tangy lemon and grapefruit give way to lovely seaside sentiments from samphire, and the unmistakable woody characteristics of Cade juniper (juniperus oxycedrus). A deep floral body follows with hints of Grasse’s rose centifolia petals, jasmine and jammy facets of bitter orange. The base offers tangy warm spicy notes with the honey sweetness holding its own as floral and citrus notes mingle. LM: Could you tell us more about the age-old perfume extraction techniques melded with cutting-edge distilling technology? BR: We’re located in the former ancestral home, Roure. Producers of raw materials for the perfume industry dating back to 1820. We’ve taken inspiration and know-how from the perfume industry to create a process that handles raw materials with delicacy and less energy. Our Master Scientist & Innovator, Marie-Anne Contamin, infuses the botanicals into the spirit using ultrasonic maceration, vacuum distillation and CO2 supercritical extraction, before carefully blending everything together. The result is a liquid with phenomenal complexity and incredible depth of flavour. LM: How long did it take to get the concoction just right, and what’s the best mixture to drink this gin? BR: 44°N was created in just over 12 months, and although it can be drunk on the rocks, my personal recommendation for enjoying 44°N is an extremely dry martini with a lemon twist. For an alternative twist, serve with an olive as the saltiness can provide an interesting contrast. However, it’s also delicious served neat at room temperature. LM: What is next for Comte de Grasse? BR: We will scale up our innovative distilling process in new premises next year and release further luxury spirit brands, all following the same principles as 44°N. But in the meantime, this will be a great drink to enjoy this Christmas. 44°N – Where and How? 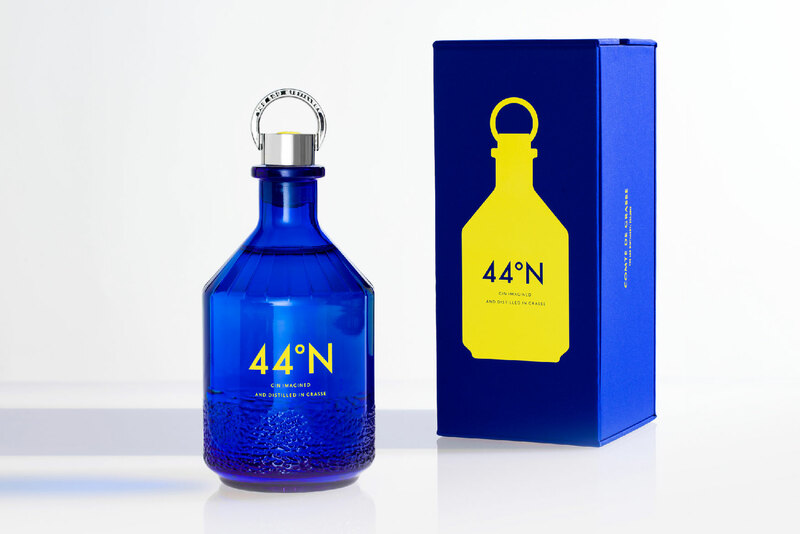 44°N is available to buy online direct from the distillery costing €75 (£66) for a 50cl bottle (44% ABV), excluding postage. For more information visit https://shop.comtedegrasse.com.